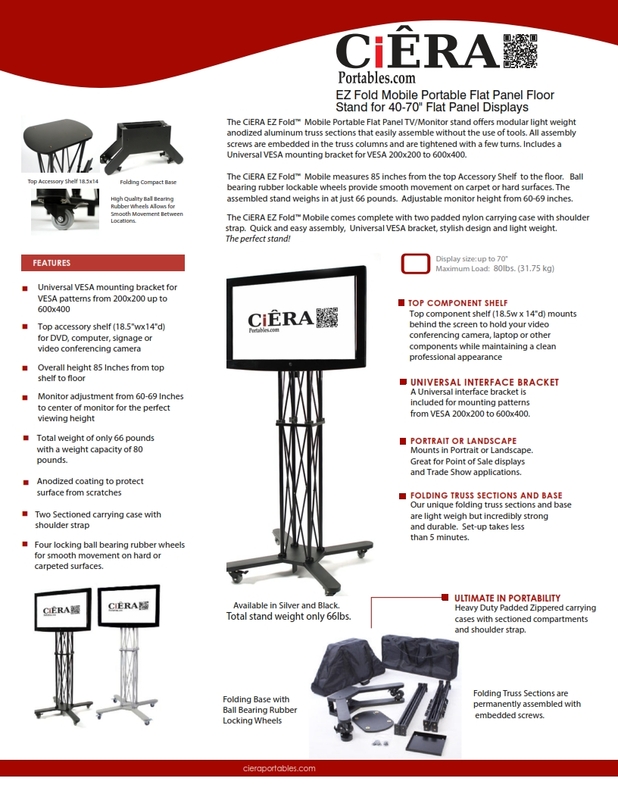 Ciera portable and mobile TV stands offer the most in versatility and convenience. These stands make it easy to mount a monitor at any location or event. They are portable and only take minutes to assemble. All hardware and tools required are included with the stand including the monitor mount! Travel cases are included which hold every part of the stand excluding a TV. 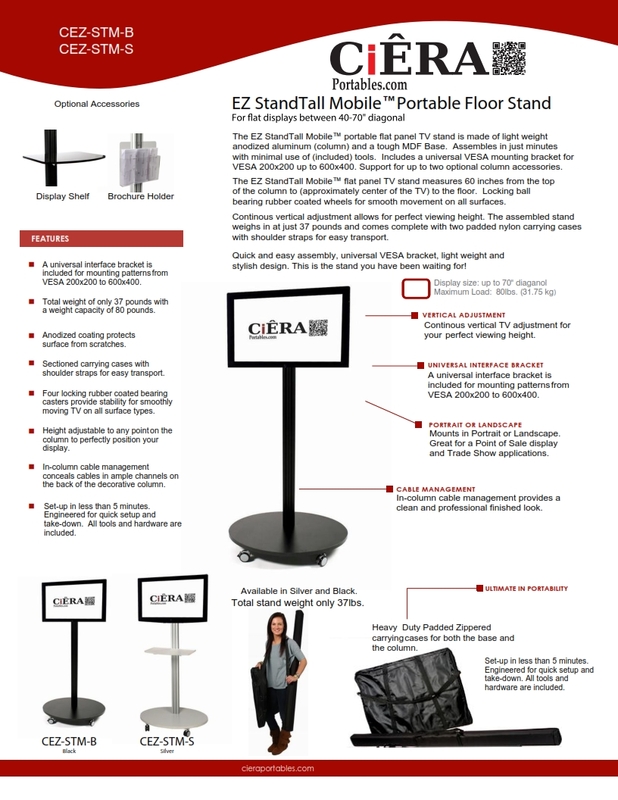 Ciera mobile TV stands are ideal for trades shows, marketing events, store fronts, and offices. Most mounts are universal and can hold up to a 70” TV! All components have an anodized coating to protect against scratches and the wheels lock to secure the stand in one location. EZ fold stands are in stock and ready to ship from MN. Expedited service is available for anyone in a time crunch! Each stand comes in either silver or black to match any theme or layout!